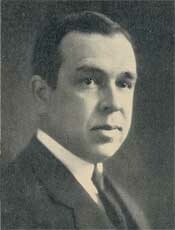 A longer post for your edification this Saturday morning, a testimony and one of Dr. J. Gresham Machen’s lesser known works. This brief testimony, titled “My Idea of God,” appeared in a book of the same name, a gathering of statements largely philosophical, which only served to make Machen’s testimony stand out all the more. At this point, however, there will no doubt be an objection. We have spoken about the knowledge of God; but in reality the knowledge of God, it is often said, is unnecessary to our contact with Him, or at least it occupies merely a secondary place, as the symbolic and necessarily changing expression of an experience which in itself is ineffable. Such depreciation of knowledge in the sphere of religion has been widely prevalent in the modern world, and at no time has it been more prevalent than now. It underlies the mysticism of Schleiermacher and his many successors; it underlies the Ritschlian rejection of “metaphysics”; it underlies the popular exaltation of “abiding experiences” at the expense of the mental categories in which they are supposed to be expressed; and in general it is at the roots of the entire separation between religion and theology, experience and doctrine, faith and knowledge, which is so marked a characteristic of the religious teaching of the present day. This devotion to the so-called metaphysical attributes of God is unpopular at the present day. There are many who tell us that we ought to cease to be interested in the question how the world was made, or what will be our fate when we pass through the dark portals of death. Instead, we are told, we ought to worship a God who is not powerful but merely good. Such is the “ethical theism” of Dr. [Arthur Cushman] McGiffert and many others; Jesus, it seems, was quite wrong in the stress that He undoubtedly laid upon the doctrine of heaven and hell and the sovereignty of God. We moderns, it seems, can find a higher, disinterested worship – far higher than that of Jesus – in reverence for goodness divested of the vulgar trappings of power.